“Are you sure you want to leave for three months? What happens if you don’t like it there? Maybe you should try looking for a permanent job here at home. This is a long time in a foreign country. Are you sure you want to do this?” These are some of the questions and comments I received from friends and family. Little did they know that I was not afraid, instead I was overjoyed. The 26 hours spent travelling to camp were worth every second. I did not just work at a summer camp in the US. It was not another job to me. I lived it. I made new friends, improved my facilitating skills, got certified for Low Ropes, Youth Mental Health, First Aid and CPR. These new skills and certifications will all aid me in some of the work I do with children at home in South Africa. Most importantly, I made a difference in the lives of campers and gave them an invaluable summer experience they will never forget. 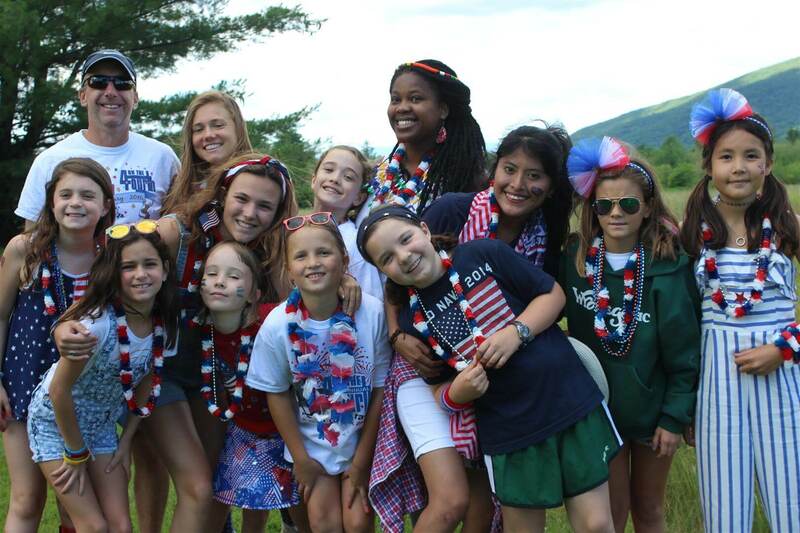 I joined CCUSA and was accepted to the program as a camp counselor to work in the United States at a summer camp. The J-1 visa every international camp counselor holds is called a cultural exchange visa. At first, I could not understand the cultural aspect of it. It is only when I got to camp that it all made sense. 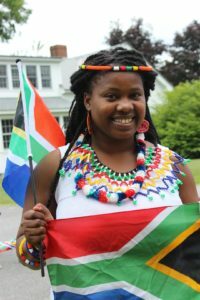 Being at a camp where there were approximately 33 countries represented, presented me with an opportunity to learn about other countries and their culture. What was even more beautiful to witness was the fact that the campers also came from other countries as well. I have learned a few interesting facts about the different countries but will only share a few. In Mexico, children do not receive presents on Christmas Day. They receive gifts on January the sixth-the day on which Mexicans celebrate the arrival of the Three Wise Men. In Poland, people generally peel bananas from the blossom end and not the stem end. In Slovakia, higher education is free which is still a struggle for most African countries. Lastly, America has six different time zones which I find quite fascinating. These are just a few of the interesting facts I learnt from both campers and counselors whom I spent my summer with. I also got to share with others about my country and what makes it special for me. I enjoyed hosting a presentation about my camp in South Africa and was able to show the Wyonegonic campers where I came from. As a result, all I want is to continue to travel the world because of this experience. I am looking forward to sharing with my campers in South Africa this amazing experience. In South Africa, I work at camp Sizanani which is a South African project run by Global Camps Africa. 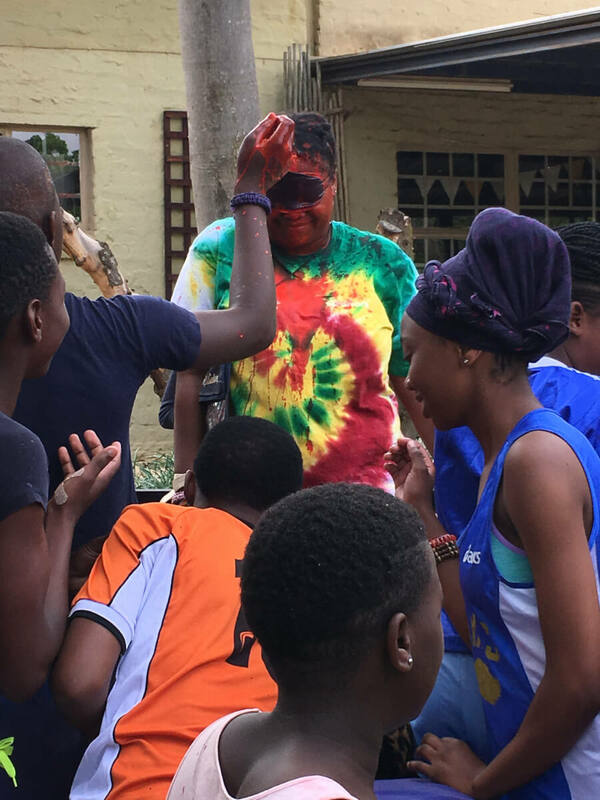 Camp Sizanani provides a safe space for campers where they can have fun and enjoy being children. A lot of our campers come from disadvantaged backgrounds and most of the time are not inspired to dream big and make good decisions about their lives. 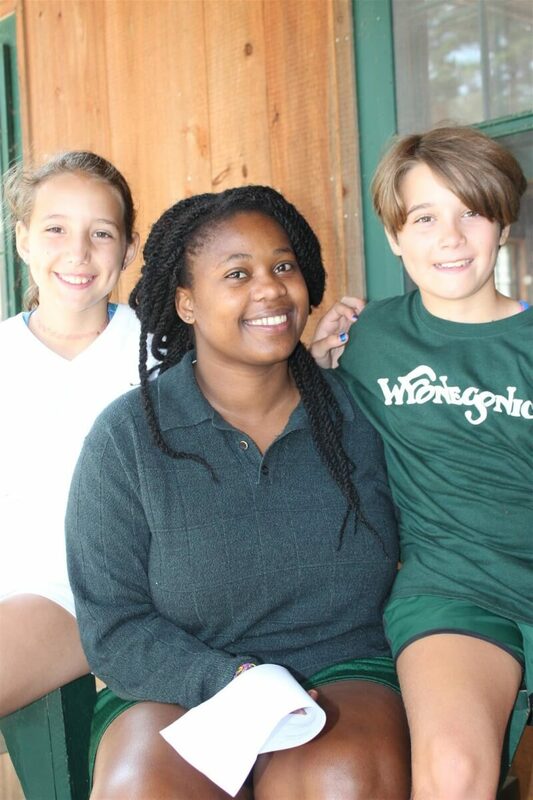 Camp provides education on HIV/Aids Prevention, Puberty, Sexuality, Career Guidance, Drug Abuse and Leadership. These are topics campers do not generally engage in with their parents. Some of these difficult topics are often not delved into because most parents are very traditional and do not have the adequate knowledge to equip their children with correct information. I can relate having grown up in the same township as most of our campers. HIV/Aids Education remains the biggest part of the Life Skills that we teach at Sizanani because it is a very serious health concern in South Africa. There are a significant number of people living with HIV. As a result, some of our campers have lost their parents which has left them as orphans and the breadwinners of their families. A lot of our campers come to camp with not much hope because of their situations. The six-day camps and Saturday youth clubs at Sizanani have given them a platform to dream big. There is no greater feeling than seeing a child blossom and becoming a better person because of the mentoring their get at camp. Another thing that makes our camp special is the support we receive from the U.S. counselors who come to South Africa. The cultural exchange goes both ways! These staff offer training and provide us with different styles and methods of running a camp. In total, we have had 150 American counselors at Sizanani and each unique individual has taught us something new. Now that I have been to two camps in two different countries, I can see so many similarities. The kind of communities and background the campers come from are vastly different. However, these differences do not mean much once we are all together in a camp community. As Whitney Houston once said “I believe the children are the future, teach them well and let them lead the way, show them all the beauties they possess inside.” Through camps and cultural exchange, we can make kids realize their full potential. All the knowledge and lessons I have received from America will benefit the children I work with in South Africa. I am very appreciative because travelling is a gift that most South Africans will not receive. Coming to The United States and being at Wyonegonic Camps has been an amazing experience and one which would not have been afforded to me without the J-1 cultural exchange visa that I got through the CCUSA program. I hope the J-1 Programs can continue in the future. I hope you can join me in closely following the advocacy efforts of the Americans for Cultural Exchange and the American Camp Association. These cultural exchange programs benefit the International Staff who experience America through summer camp and get to travel in the US afterwards. J-1 Programs also have huge impacts on the camp communities by allowing a diverse staff and exposing the children to wonderful ideas and customs from around the globe. I am proof of this!